Parent-Teacher Conference is an important component of ongoing home-school communication. The first Parent-Teacher Conference of academic year 2014-2015 is scheduled for Wednesday, September 17th from 6:00 P.M. – 8:30 P.M. Please take advantage of this opportunity to meet your child’s teachers and assess his/her academic progress. WHSAD Parent Teacher Association fulfills a number of functions, including fund raising, conflict resolution, and more importantly, serves as a forum to introduce school initiatives and raise parent concerns. 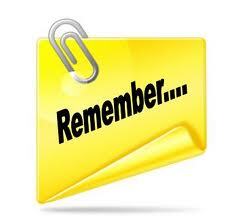 Our first Parent-Teacher Association meeting is scheduled for Thursday, September 18th from 7:00 to 8:00 P.M. Please join us to help strenghten our school community ties.